To register for this event please see registration instructions in the description. The 2017 Tax Cuts and Jobs Act created new incentives for investments in certain low-income communities known as “qualified opportunity zones.” These incentives have the potential to be win-wins for investors and our communities. Learn the fundamentals of the opportunity zones (OZ) incentive, including definitions of key terms, how the incentive works, how the Treasury regulations define best practices for OZs and outstanding issues, and how businesses can benefit from opportunity zones. Get grounded in the incentive and have your questions answered by experts. A leader for more than 30 years, Dan has significant experience advising public, private and middle-market companies on all tax matters. He advises clients on global restructuring; negotiation and transaction management in mergers, acquisitions and divestitures; as well as financial modeling and budgeting. His clients have crossed various sectors, including consumer and industrial products, energy, manufacturing, retail distribution, alternative investment funds, professional services and family offices. Currently, Dan is a Tax Partner in BDO’s Chicago office, serving public and private multinationals, family offices, start-ups and private equity portfolio companies. In this role, he focuses on international tax issues, entity selection, in- and out-bound investments, and personal financial planning. 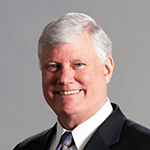 Dan frequently lectures on tax legislative topics to CPA societies, bar associations, trade and industry groups, and colleges and universities. He is published widely in industry and accounting publications. Dan earned a bachelor’s degree in accounting from the University of Notre Dame (2008 Accounting Alumni of the Year), and a J.D. and LL.M. from DePaul University Law School. He is a Certified Public Accountant (CPA), Chartered Global Management Accountant, and is licensed to practice before the U.S. Tax Court.